“Chez Lui” with its secured private swimming pool can accommodate 4 persons. 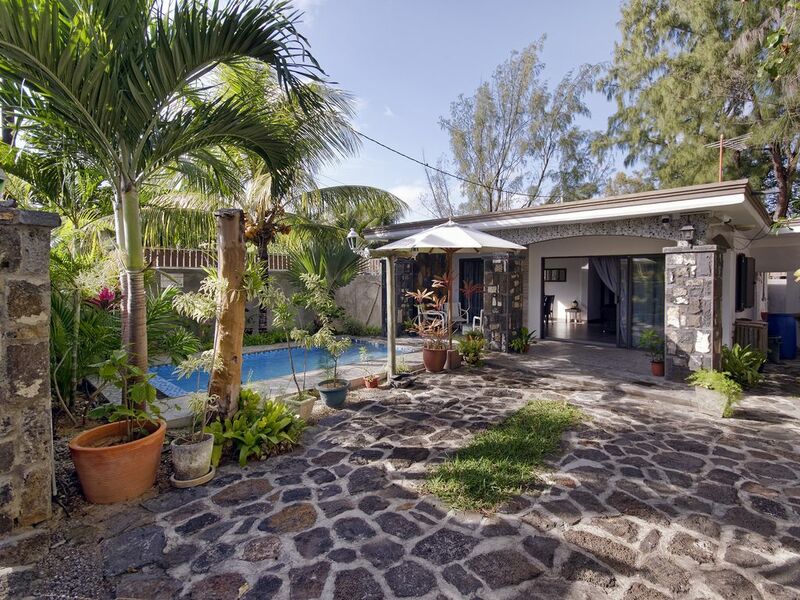 “Chez Lui” Beach House with its secured private swimming pool can accommodate 4 persons. The house is located 300 meters from Cap Malheureux, near the sea, 50 meters from the entrance to the coves and 700 meters from the public beach, known as "Bain Boeuf Beach". This newly renovated cosy house of 100 meters quarter has 2 bedrooms with a double bed, a spacious sitting / dining room and a fully equipped kitchen including microwave and cooking ustensils, safe deposit box and TV with local channels. Our rates include two hours housekeeping service from Mondays to Saturdays excluding public holidays and Sundays. The Beach house “Chez Lui” is located on the North coast of Mauritius, within 300 M from Cap Malheureux, a fisherman village with a panoramic view of Gunners Quoin (Coin de Mire) , Serpent Island (Ile aux serpents) and Round Island (Ile ronde) and the Notre Dame Auxiliatrice a most renowed Chapel famous for its bright red roof . Five minutes by bus/Taxi is the village of Pereybere where you can find a selection of bars, restaurants, atm, pharmacy, doctors, supermarket and shops. You can go parasailing and really take in the beautiful lagoon then there is always the diving and snorkeling as there is a wealth of marine life and corals to discover. Another nearby village is Grand Bay can be easily reached by public transport 10 minutes by bus. The bus stop is situated just a few steps from the house. Bain Boeuf public beach : 700 mètres. Little deep outside swimming pool. Ideal for the children.